Discover what makes compost tea a sustainable option as soil biology expert Elaine Ingham presents “The Soil Food Web and Compost Tea” Thursday, Oct. 23, at 7 p.m. in Weyerhaeuser Hall’s Robinson Teaching Theatre. This event is free and open to the public. In 1996, Ingham founded Soil Foodweb, Inc., and revealed that the key to growing more resilient crops is in the quality and nutrients of the soil. In her lecture, she will explore the biology and chemistry of soil, soil food web principles and myths, compost tea technology, and more. Ingham received her Ph.D. in microbiology from Colorado State University and currently teaches as an adjunct at Maharishi University of Management, in Iowa. 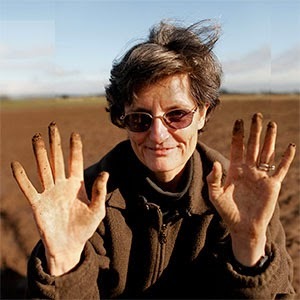 Her publications include 10 Steps to Gardening with Nature: Using Sustainable Methods to Replicate Mother Nature (2011) and The Field Guide for Actively Aerated Compost Tea (2005). Fred Johnston, compost tea project and resource conservation manager, Whitworth University, (509) 777-4423 or fjohnston@whitworth.edu.